These heating units find application in the chemical and petro-chemical industries, in other process industries and in mechanical engineering, for process temperatures. In the offshore industry the explosionproof heating units are used to reduce product viscosity for better flow characteristics at low ambient temperatures, or to maintain tanks and vessels at a constant temperature. They are also used in secondary circuits for heating reactors, vessels and piping systems fitted with heating jackets. The heating units can also be directly integrated in piping installations. 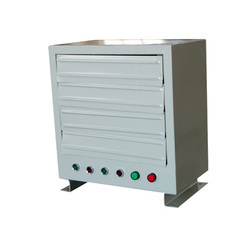 In mechanical engineering applications, standby heaters are installed in oil sumps so that the oil temperature is not a problem when machinery that has been idle for some time is started up. The explosionproof heating units can also be used in open systems, but their application is restricted to heating nonflammable liquids, or flammable liquids but not to temperatures above their flash point. Looking for Explosion Proof Heater ?